Try planting container gardens if you . . .
. . . live in the city where digging up a patch of dirt to create a garden is impossible.
. . . have plenty of space, but don’t have the physical abilities needed to take care of an in-ground garden. Container gardens are a great gardening format for everyone. It’s the answer to at least one of the gardening challenges you face. Maybe you’d like to plant a flower garden, a vegetable garden, or even water or butterfly gardens? They can all be grown in containers. What are your gardening goals? 1. You may want to decorate your outdoor areas. 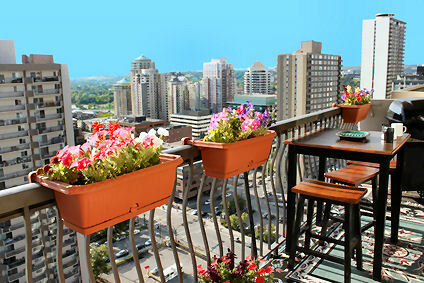 This is the easiest and most popular way to use potted gardens- as accents to your deck, patio or balcony. Creating a welcoming entry and adding curb appeal is another. You will need to know the basics of container design, selecting the best plants and containers, and putting them together to accomplish this. 2. You can go a step further and landscape with container gardens. They can be used to direct a path, create a barrier or make a privacy screen. Eyesores can be camouflaged and outdoor rooms separated or created. There is more to gardening in containers than just flowers – use shrubs, trees, perennials and foliage plants as landscaping devices. 3. Your primary goal may be a practical one – growing edibles. Everything from vegetables to fruit trees to herbs can be grown in pots, boxes or baskets. Learn the easiest vegetables to grow in them, find out the best varieties of dwarf fruit trees and how to use fresh herbs. Realize that containers planted with vegetables can also be created to be pleasing to the eye and add decorative appeal as well. So whatever your reason for gardening with containers, there is valuable information here to help you. What can container gardening do for you? You can enjoy gardening no matter where you live – on the 20th floor of a high rise, or in the backyard of a suburban subdivision. There are no space requirements. 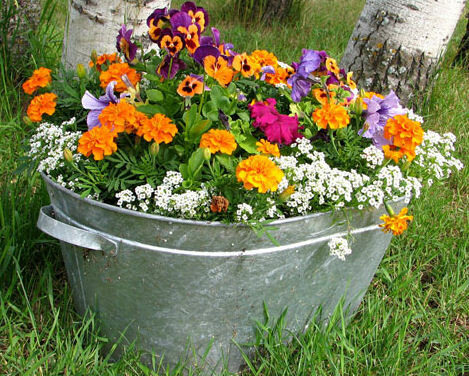 Anyone can become a successful container gardener – it works for beginners as well as those who have already earned their green thumb. No experience is needed. Gardening in containers is accessible. 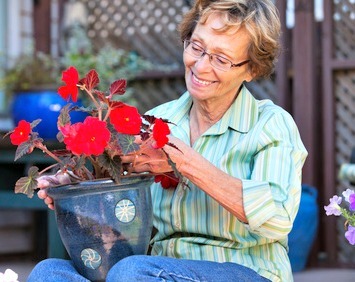 If you have physical limitations or health concerns that keep you from working in garden beds, container gardens allow you to continue to enjoy growing flowers and edibles. Container gardens let you control the quality of your potting soil. If you live in an area with poor soil quality, it doesn’t matter. It’s a good way to try new plants. Even if you garden mainly in beds, try new plants in containers before you commit them to the ground. Use potted flowers or foliage plants as focal points or accents in your garden beds. If you rent, your investment hasn’t been wasted. Take your plants, even trees or shrubs, with you to your new home. Gardens in pots are mobile. If wind or hail become a threat, move your gardens out of harm’s way. Nothing is as satisfying as creating your own thing of beauty – planting a garden and watching it grow. Choosing plants for color and texture, and putting them together in a container is fun. Adding beauty to your surroundings just makes you feel good. Getting outside in the fresh air and sunshine, getting your hands dirty from time to time – there’s nothing like it. Growing your own food is also satisfying. Eat healthier and lower your grocery bills by growing some of your fresh produce. Experiment with herbs to enhance your favorite dishes. 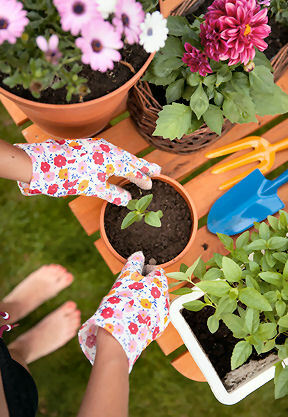 Gardening is a great activity to share with your kids. Using pots and baskets or boxes is an easy way for them to have their own garden. 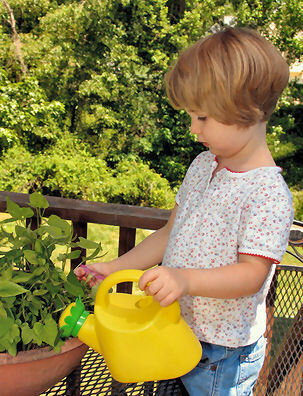 Kids love to plant things, especially from seed, and it is a great learning experience. I read a quote once that said, “Why try to explain miracles to your children, when you can just have them grow a garden?”. There are many advantages to gardening in containers, but there are also some considerations to keep in mind before you get started. Even though we have a lot of control over the growing environment when we garden in containers, a box or pot is still not a natural place for plants to grow. Certain steps are needed to insure that our gardens are fed and watered so that they can grow, flower or bear fruit. 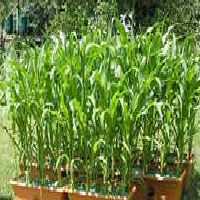 Plant them in clean pots that are the right size for the mature size of the plant. Think about the kind of plants you want to grow – flowers, vegetables, foliage plants, trees, or what? Take time to plan your gardens. Think about the pots and soil. Choose plants carefully and decide on the location of those plants before you put a single stem in a pot. Keep an eye on your garden and if something seems wrong – figure out what the problem is – take measures to correct it – and give the plants time to recover. With proper planning and regular care, you will grow beautiful container gardens and enjoy all the benefits it offers. Whatever you want to achieve with gardening, planting in containers will help you accomplish your goals. Have fun, learn some new “how-tos” and experiment as you go. Your life and your outdoor areas will be better for it!